I am so lucky to be leading this teen girls’ Bible study from my local church I serve we call Peace Girls. It’s all about “wasted time” to just talk so we can find peace in our lives. After 37 years of youth ministry, today’s teens struggle way more with anxiety than they do peer pressure to do the “bad sins.” It’s a whole new world out there for teens to navigate. Thank you, cell phones? Thank you, social media? Lately during our “wasted time” conversations, we have segued onto the bad relationships we’ve accepted just so we can feel that affirmation of being wanted. A topic I have a lot of opinion on. Read. Read. Read. Read. From my age-25 single assistant to the teen girls, all made the statement that while they know God is enough in their lives, this feeling of affirmation from a male was wanted more. Even at the point that they knew they were making stupid, and sometimes regretful, decisions. The truth then becomes that you are placing your security in people or status—both of which can be taken away. Rather than God who never changes and who will never leave. 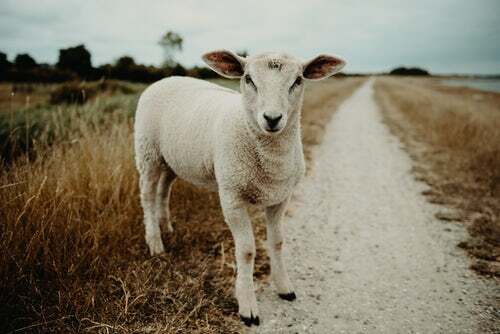 This God that the Bible describes as God also bound himself with an oath, so that those who received the promise could be perfectly sure that he would never change his mind. So God has given both his promise and his oath. These two things are unchangeable because it is impossible for God to lie. Hebrews 6:17-18. That is some wow truth. But I’m guessing that the lie that God is not enough is still louder. Especially when you are in the daily mess of living out your life on that broken road of faith you are on. It sounds good and true and I-want-to-live-that-way during your blog reading time but you know your reality. So how to live more in your I-want-to-live-that-way life, you can start by leading your brain. You can also stop accepting that one lie about yourself. That will probably lead to the death of something necessary. This is good stuff. Stuff I really believe in. But why is this verse out of Hebrews 6:17-18 not enough to break the lie that God is not enough? Because deep down you believe you are too broken. Too unloveable. That God did change his mind about creating you so you need to be a bit (or a lot) more of a worthy soul. You would rather choose begging from others for scraps of love. That is a lie. Lead your brain. Stop accepting this lie about yourself. Dig into this until you can live in the truth. 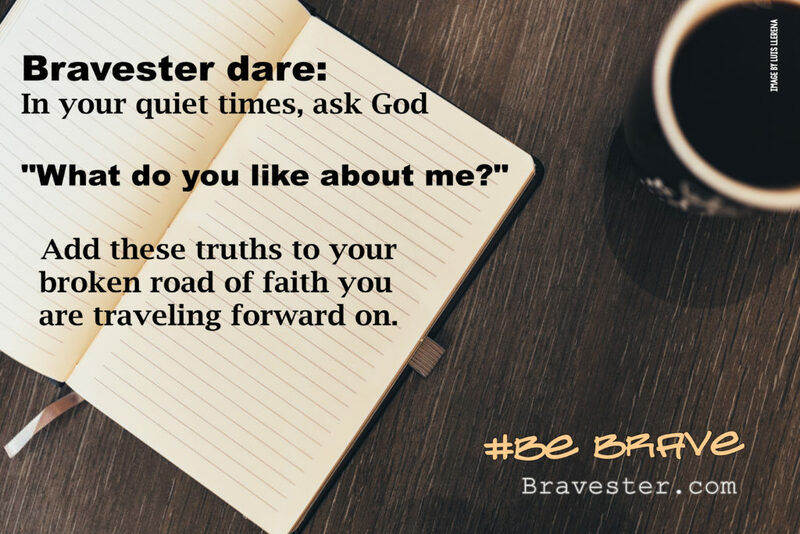 I dare you in your quiet times to ask God, “what do you love about me?” Write down what you hear. Is this the truth? 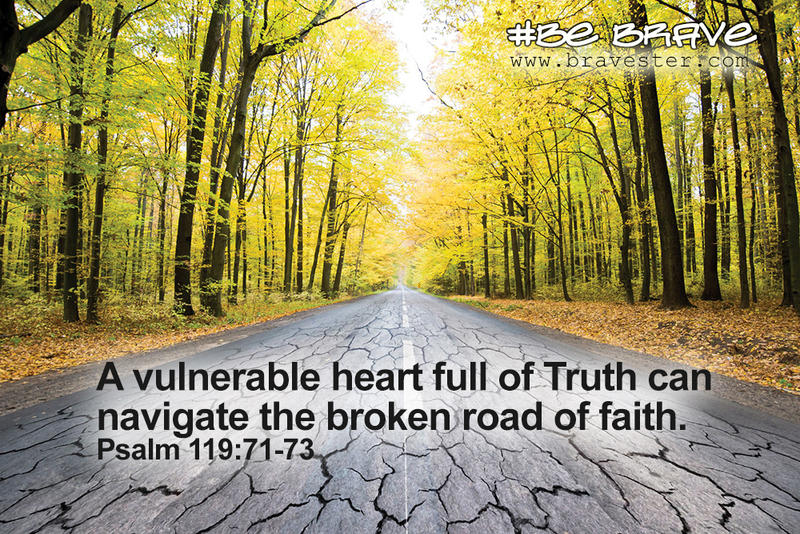 A vulnerable heart full of Truth can navigate this broken road of faith. With the love of a God who pursues you–and has never changed his mind in that pursuit of you–it is hard to remain a victim to your life. You grow to have this desire to overcome. You decide to lead your brain. Did you notice the cyclical-ness of this blog? That’s because your growth in this area will feel cyclical. There are days you are going to wake up in confidence and live this out. Then there are days that you will forget to lead your brain and find yourself back to those defeating thoughts. The cyclical-ness of this could leave you feel defeated but I want to call out that the very fact that you are in this cycle is your broken road of faith. You are on it. You are overcoming. Through all of the cycles remember this: You no longer need to be begging others for scraps of love. Worthiness is your birthright.